What Harris points out is that racism is far greater, far more evil, and far more determining than simply “not being liked”, as racism is so commonly understood in its American vernacular. Where once upon a time in America, racism determined where you could live whereas now its more likely to determine where you can’t. This “can’t” being determined by the joblessness that Harris articulates. When one is relegated to the lowest economic rung of the social ladder, one is forced to live in “ghetto neighborhoods” that also happen to have the greatest percentage of failing schools. And “poor health” can also extend to the urban extreme of being dangerous to one’s life, with the ubiquitous presence of violent crime in these areas. 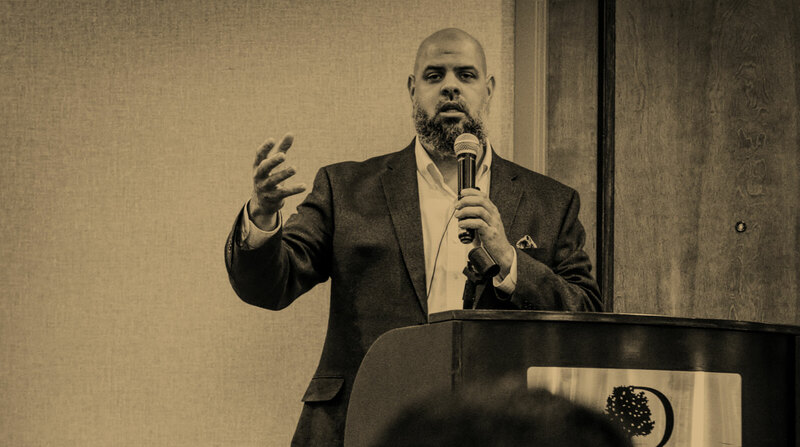 To return to the Muslim question, particularly those of an immigrant history or background, they too have falsely been misled and even perpetrate the misconception that racism is only “not being liked”—suggesting it has no tangible consequences—being that many of these Muslims are educated in the American public school system, it is no surprise. However, in light of the recent ascent of the Christian evangelical Right, these Muslims now have a glimpse at the very real consequences of racism in America. The social opposition Muslims are being challenged with show that racism is far more concerning than simply being “disliked”. In the hands of a majority who also possess political power, American racism threatens to bear down on Muslims in America in way that have the potential to create cultural ghettos, discriminate against Muslims who seek employment, bully their children at school, ultimately leading to a degradation in their mental and physical well-being. So the question remains, will American Muslims come to see that one of the primary challenges facing America is her enduring legacy of racism, and that legacy affects the lives of people in visceral ways, and that now perhaps is the time to crawl out of our gated communities and shells and truly embrace America, which will require standing up to her and telling her some things she’d rather not hear, especially from those who’ve, until recently (? ), peddled a model minority narrative. Will American Muslims come to identify with America’s poor, that group which God says in the Qur’an, He, “desire[s] to show kindness to those who [are] oppressed in the land”2, or will our community sell God’s Sign for “a paltry price”3. I can only hope we will do the right thing, though time will tell. May God grant us strength, conviction, and dignity in these difficult times. 1. Grier, William H. and Cobbs, Price M. Black Rage. New York: Basic Books Inc., 1968. 2. “We wanted to empower those who were being oppressed in the land, to make them leaders, to give them an inheritance in the earth.” Qur’an, 28: 5. 3. “Believe in what I’m revealing, which confirms the teachings with you now, and don’t be the first to reject it, nor sell My revealed verses for a petty gain. Be mindful of Me!” Qur’an, 2: 41. Next PostNext Is Trump’s Administration the New Neoliberalism?